Sarah Burns, Kaleem Hawa and Zia Saleh have been selected as Rhodes Scholars for 2016. All three students are also Loran Scholars, recipients of Canada’s largest and most comprehensive four-year undergraduate award. Since 1992, 18 Loran Scholars have been awarded Rhodes scholarships. The Loran Scholars Foundation and Rhodes Trust share similar selection criteria: character, commitment to service in the community and leadership. Only 30 of approximately 3,800 applicants are selected as Loran Scholars, and each scholar receives up to four years of funding for undergraduate studies, personal mentorship and opportunities to gain meaningful and varied work experience during the summer. The Rhodes Scholarship funds two or three years of postgraduate studies at the University of Oxford. 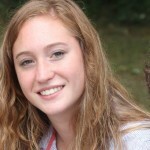 Sarah Burns (Ralph M. Barford Loran Scholar ’11) graduated from the University of King’s College this year. A former competitive figure skater and basketball player, she organized Right To Play days for elementary school students in her hometown of Unionville, ON. Sarah led the King’s chapter of World University Service Canada, and she spent her summers working with Right To Play in Rwanda and the Kadam Education Initiative in western India. She is currently working for the Bank of Canada in Halifax and plans to pursue an MPhil in Economics at Oxford. 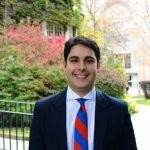 Kaleem Hawa (BMO Loran Scholar ’12) is a fourth-year student studying human biology and international relations at Trinity College in the University of Toronto. 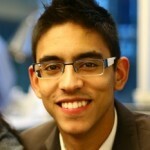 As a BMO Loran Scholar, he worked at the World Health Organization in Geneva and McKinsey & Co. in Toronto. On campus, Kaleem serves as president of the International Relations Society, a director of the G8 Research Group at the Munk School of Global Affairs and as past president of the Hart House Debates Committee. His research interests include global health security, the health-climate policy axis, and development economics. After attending McGill University in Montreal as a W. Garfield Weston Loran Scholar, Zia Saleh (’10) returned to Edmonton in order to enter medical school at the University of Alberta. He founded and grew a sports program for underserved youth in both cities, and he co-led a cultural exchange program for students in Edmonton and Uganda. Through the Loran Scholars Foundation’s summer program, Zia worked for the World Health Organization and Deloitte Canada. He plans to pursue an MSc in Global Health Science and a Master of Public Policy degree at Oxford.